Snap this week dramatically missed Wall Street estimates, reporting a net loss of $443.2 million —with a big write-off of $39.9 million in Snap Spectacles about a year after release. Should Apple jump in to the headset market as rumored, Snap's own wearable ambitions may only get worse. 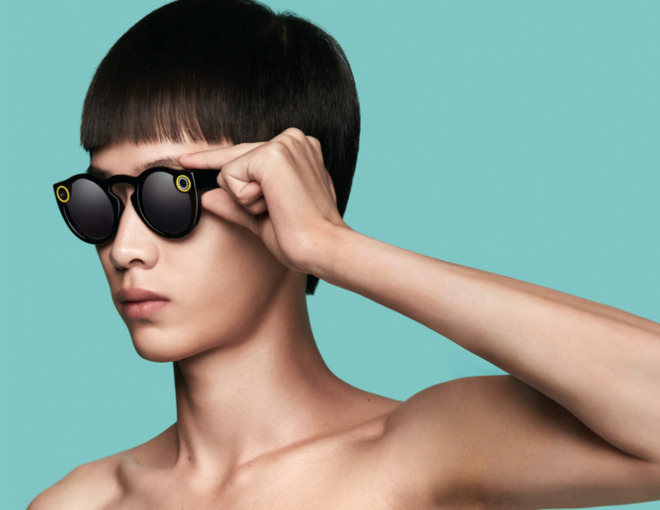 In its quarterly earnings statement, Snap said that it had misinterpreted "strong early demand" for the wearables, and ordered far more Spectacles than it needed. Aggravating the problem, more consumers returned the product than predicted. Out of the $207.9 million in revenue the company reported, a "substantial amount" of the $5.4 million in "other" revenue category came from the spectacles. As a result of the earnings fumble, the company will be completely redesigning the Snapchat app, and warned of a "strong likelihood" that the process will disrupt the business in the short term. "We don't yet know how the behavior of our community will change when they begin to use our updated application," Snap CEO Evan Spiegel said. "We're willing to take that risk for what we believe are substantial long-term benefits to our business." A pair of Spectacles cost $129.99 at release, and is still bundled with a charging case and cable. Black, coral, and teal colors of the Specs are available. In February, expenses for the Spectacles were greater than earnings —a trend that continues to present. Snap's first hardware is superficially similar to Google Glass, but designed only to shoot between 10 and 30 seconds of first-person video, mostly for use with Snapchat. The video is also recorded in a unique circular format, meaning that people watching a clip in Snapchat get a seamless view regardless of which way they're holding their phone. Apple is said to be hard at work on a full-fledged augmented reality headset for launch as soon as 2020, running a new operating system dubbed "rOS" and codenamed "T288." While likely intended for augmented reality, any rumored headset will be able to snap pictures or take videos of what the wearer is looking at. Additionally, a rumor started on Facebook claiming that the service would be shutting down because of "copyright and legal issues" —which has since been addressed on the company's @Snap and @Snapchat Twitter accounts.